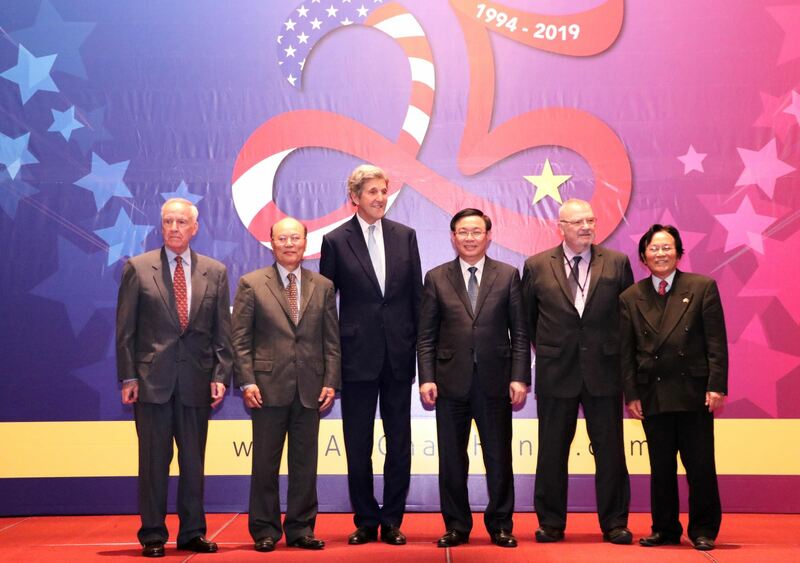 Normalization and advancement of the Viet Nam-US relationship have brought about enormous benefits to people of the two countries and contributed to peace, stability, cooperation and development in the region and the world. Deputy Prime Minister Vuong Dinh Hue made the above statement while addressing a ceremony held in Ha Noi on Friday to mark the 25thanniversary of the normalization of the bilateral economic ties. The event was also attended by former US Secretary of State John Kerry, leaders of American Chamber of Commerce (AmCham), former Ambassadors and businesses representatives from the two countries. The historic steps forward, both sides have taken, came as a result of the sides’ courage, lucid mind, strategic visions and strong belief in the bright future of the two nations, Hue stressed. 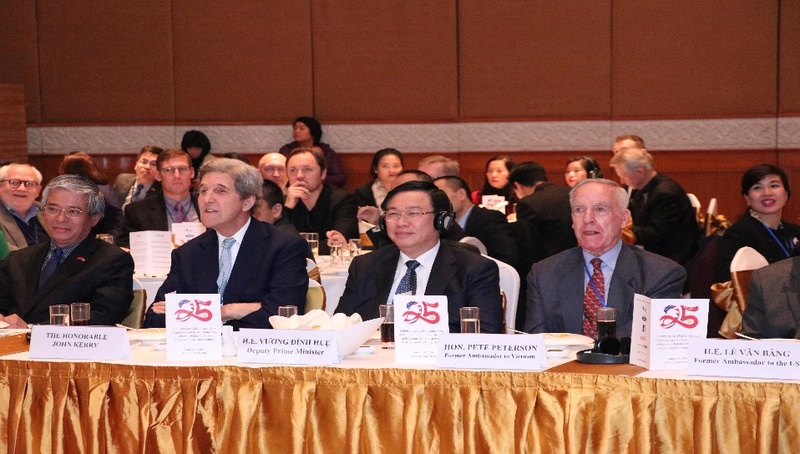 He also called former US Secretary of State John Kerry as a close friend of Viet Nam with great contributions to the development of the Viet Nam-US relationship.